Many women (and men) have a lot of unwanted hair all over their body. Whether it’s your arm pits, your arms themselves, your legs, or even your mustache. Regardless of where the unwanted hair is, it’s still unwanted hair. 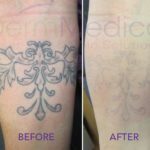 Electrolysis is a long and drawn out process that is certainly permanent but also sort of dated. Nowadays the way to go is with laser hair removal. It’s effective, less painful and works like a charm. Here, we’ll discuss a few points to consider laser hair removal versus other methods of hair removal. Before you consider laser hair removal, consider your skin and hair colour. The laser targets coarse and dark hair follicles so if you have either red or grey hair, you likely won’t be a candidate. Basically the laser needs to be able to tell the difference between your hair and your skin, so the bigger the contrast, the more successful the procedure will be in the end. The next thing to consider are the do’s and don’ts of laser hair removal. First, you must not expose your skin to the sun, or have a spray-on tan. You can’t be taking medications that are considered “photosensitive” (create a sensitivity to light), such as antibiotics, during treatment (so if you’re sick or about to start, you should hold off on your procedure until your medication is complete). Let your dermatologist know about all the medications you’re currently taking so they can address your individual circumstances. 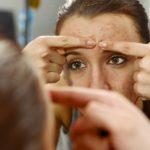 And lastly, if you’re using acne or wrinkle creams, you should mention those to your dermatologist further begin starting the process. What Can You Expect In Terms Of Hair Reduction? It’s also important to know that laser hair removal won’t remove 100 per cent of your hair, but what will remain will be finer hair that is hard to detect anyway. With each treatment, you can expect to see a 10-15 percent reduction in hair, however results do vary depending on the individual. And depending on the area you are covering, on average patients require six to eight treatments. And After The Laser Hair Removal? You may experience either some swelling or redness in the treated area after the procedure. This is normal and lasts about 30 minutes. You might find that applying a little aloe vera will help cool and calm the irritated skin. So though the procedure itself doesn’t hurt, you may experience a little discomfort afterwards. Overall, expect less pain than waxing or threading, with longer results. Your dermatologist will let you know exactly what to expect and you should and shouldn’t do after each treatment. Typically, you should plan to avoid the sun during treatment, and if you don’t already wear sunscreen, definitely protect your treated area with a good sunscreen during the course of treatment.